Yesterday I was reading in the forums about material relationships and how to display them, so I decided to create a very simple addon for that. The panel display the objects that use a selected material and there is a button to select all objects using this material. Are you sure this can be installed as described on the github page? For some reason it doesn’t register. Download the file and then, copy the script to addon folder. Note: be sure to use RAW button in Github for downloading the file. 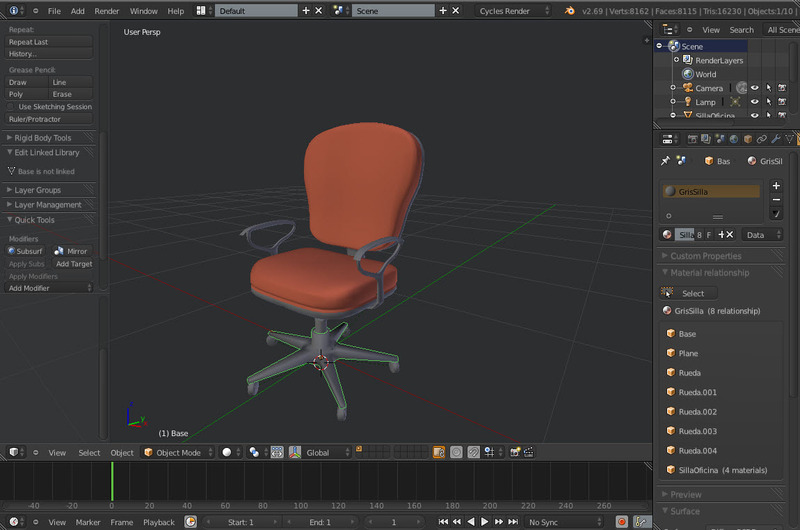 i have all object selected and the last one actif for one A material. Do you have thought to continue this add-on to exchange this current “A material” with “B material” for the sockets of all selected objects, please? 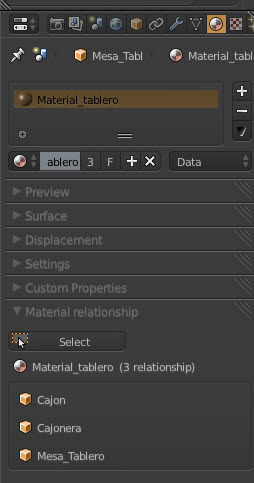 This would be a GREAT NEW INNOVATIVE FEATURE FOR BLENDER ! How do i missed this superuseful helper?! It would be very useful, I use it a lot in 2.79 when tidying up things. Look useful ! 2.8 ?